Montreal's major airport is the Trudeau International Airport to the west of the city. From there, you can take a taxi ($40+) or bus to get downtown. The 747 bus runs 24 hours a day, 365 days a year, and goes directly from the airport to several stops in the city center. The fare of $10 pays for your trip (~30-40 mins), and is valid for the next 24 hours. You will see the vending machines in the airport. You can also pay with exact change on the bus. To go straight to McGill, get off at Union Street (stop #6). Montreal's main train station, Gare Centrale, is located below the Queen Elizabeth Hotel on the corner of René-Lévesque and Mansfield. It also has an entrance at 895 de la Gauchetière ouest. The station is the major terminus for Canada's VIA Rail trains from Halifax, Toronto, Ottawa, Québec and the Gaspé, as well as U.S. Amtrak trains from Washington and New York. It also provides easy access to the city's subway (the Metro), as it is situated at the Bonaventure station (on the Orange Line of the Metro). Turn right and walk a block and a half to arrive at the Schulich School of Music. The terminal for major bus lines is the Gare d'autocars de Montréal, located at 505 de Maisonneuve est, corner of Berri. From the Gare d'autocars de Montréal you can take a taxi to the University (approximately 10-15$ CDN, plus tip) or take the Metro (subway), as the Berri-UQAM station is connected to the bus terminal. McGill University is located at McGill metro station on the Green Line. There is no on-site parking for the public at McGill's Schulich School of Music. Metered street parking is available in the downtown core. For information about getting a McGill University parking permit, visit the McGill Parking website. However, it may be best to leave your car at home if you can avoid it. Montreal has many one way streets and traffic customs you may be unfamiliar with. All street signs will be in French. Carrefour Sherbrooke - $115 a night, and this includes buffet breakfast and wifi. 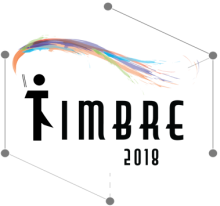 Conference attendees can book by using the contact information listed on the website, and the reference “Timbre 2018” - they have to book by May 15th. (We have reserved a block of 30 rooms until that date, when they’ll go back on sale if not reserved). You may also enjoy one of the many bed and breakfast establishments in Montreal. For the adventurous and gregarious, Montreal has hundreds of potential AirBnB hosts, hostels, and a strong couchsurfing community. Bixi is a public bicycle sharing program originating in Montreal. A day pass costs $5, a three-day pass costs $14. Bikes can be checked out at 30 minute intervals and returned to any of the hundreds of parking spots in the city. After returning, you can pick up another bike in a few minutes. $3.25 for one trip; $6.00 for two. Unlimited evening pass (6:00pm-5:00am): $5.00. If you are arriving from the airport on the 747 bus, you will already possess a 24 hour day pass. The conference will take place on the downtown campus of McGill University, at the Schulich School of Music. The School is located on Sherbrooke St. West, between Aylmer and University streets. This is a wheelchair accessible building, located on the northwest corner of Sherbrooke St. West / Aylmer St.